Winter is crochet time for me. I don't know why I like it so much in Winter but almost never crochet in summer. Last Saturday Matthias started to crochet a few hats for his ball jointed dolls and my fingers got itchy for that hook too. And I still have a lot of crochet pattern at home and immediately started a new project. Not that I have a buttload of projects still waiting in my sewing room. Nooo, not at all. 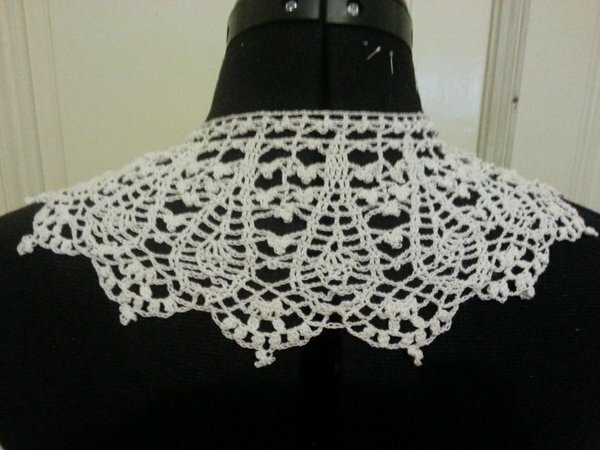 In about 20h~ from Saturday to Thursday, although most of the work was done on Sunday, I finished a collar. 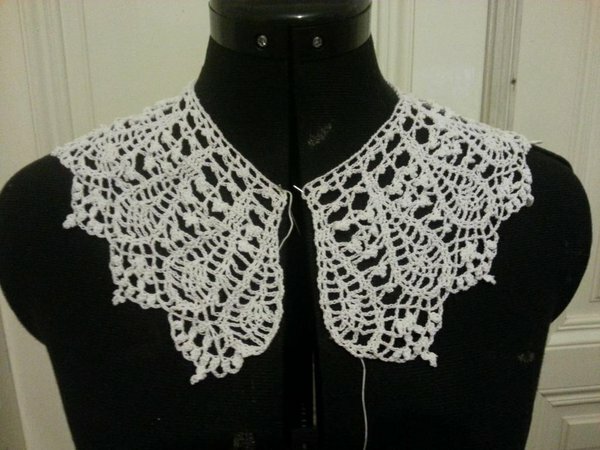 It is a bit asymetrical on one side because I used a hook which was too big for the yarn and therefore had to take less loops. In the end, I misscalculated and I had to cheat a bit. But all in all I like my project very much. The back definitely looks better than the front! The imperfection is on the left side. Oh well, it still looks good!